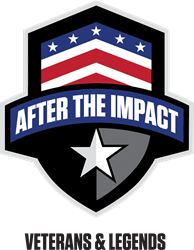 After the Impact Fund (ATIF) celebrates its first year of successful service to Military Veterans and Professional&nbsp;Athletes with traumatic injuries by introducing the resource rich, private, Family Impact Forum to provide additional hands-on support for their families. After The Impact Fund (ATIF) celebrates a successful first year facilitating custom treatment plans and resources for over 190 Veterans and Athletes with traumatic injuries, while providing critical support to their families. Under the leadership of Board Members, Coach Mike Ditka, Brigadier General (US Army ret.) Rich Gross, Green Beret Art Pue, 15 year NFL Veteran Matt Birk and Coach Dan Reeves, the announcement of the Family Impact Forum is a game changer, not only according to ATIF, but according to the families themselves. The Family Impact Forum, is a private, password protected, online forum for family members of the communities ATIF serves, namely military veterans and professional athletes, specifically to date, NFL, NHL, Jockeys, Rugby, Combat Sports and Extreme Sports professionals with traumatic injuries. To protect the integrity and privacy of the participants, a short application is required before access is granted. Upon entry to the site, family members will find forum topics and listings from general wellness and medical information, to vetted medical partners and service providers, to relevant articles and news stories, to detailed benefits and resources offered specifically to each community. Members then have group discussion forums, in general, as well as community specific, for the purposes of peer support. A Men’s Private Forum will be announced in the coming months. “After The Impact Fund’s Family Impact Forum is a Godsend. Family members of retired players and military veterans finally have a safe place to seek resources and support.” says Samantha Pyle-Buono, daughter of former Chicago Bear, Mike Pyle, who was diagnosed post mortem with Chronic Traumatic Encephalopathy (CTE), a disease now synonymous with pro football, other contact sports and the Military. “To date, there is no other place where family members seeking help can find all of the different services and up-to-date information available to them in one, easy to navigate location. As the daughter of a deceased NFL player, who suffered from CTE for the greater part of my life, I wish I would have had access to something like this, ” emphasizes Pyle-Buono. “Our goal was to create a place for mothers, wives and daughters, to not only find the resources and benefits they were entitled to in one place, but to have a safe and private forum to share their experiences and concerns,” says Executive Director, Shannon Jordan. “Our family members are often silent sufferers and we wanted to provide not only resources and support for their loved one, but for them personally. We are so appreciative of the research being done regarding CTE, but where we come in is in assisting our communities while they are living to provide help and hope. ATIF already has assembled notable advocates from various contact sports, including Jessica Fraga (Extreme Sports,) Irene Gottlieb (Rugby), and from the NFL: Mary Andrie-Brooks, Trisha Bell, Janet McCoy, Alison Owens, Chie Smith, Stacy Turley, Catherina Watters and Pam Webster to lead the charge. Outspoken NFL wife and ATIF Advisory Council Member, Liz Nicholson-Sullivan, says, “ATIF has worked hard to build this comprehensive forum, specifically for us, the families. Every time a new person signs on and looks around, they find some benefit or resource they didn’t know existed. ATIF clearly put serious time and effort into this and we are so thankful for it.”Go to Family Impact Forum Member Application to apply.